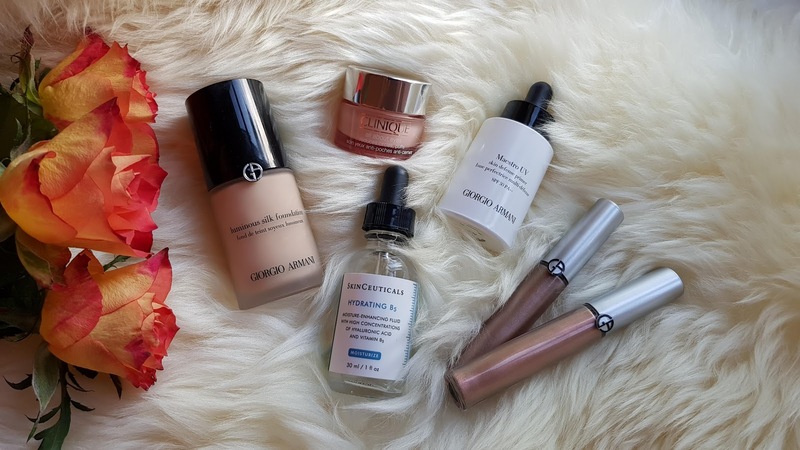 I started a favorites of the month video series and these are my May favorite beauty products and I want to share them with you. 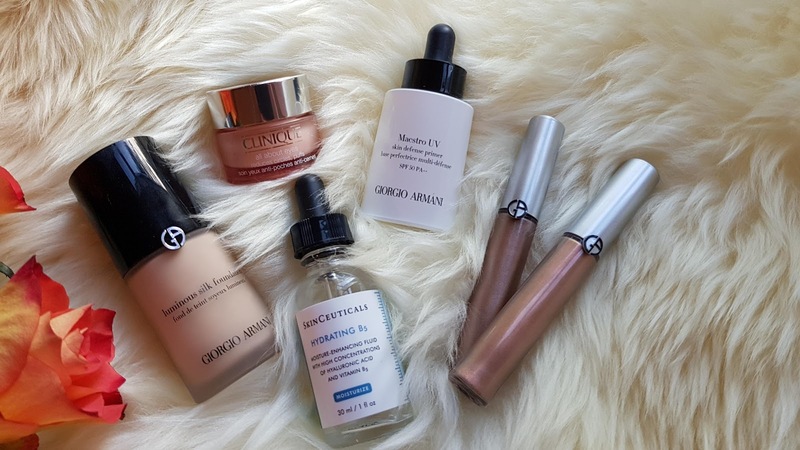 These are products that I used the most in the last month, meaning that I mainly used these products almost every day and I really like them, they make my life easier :)). I'm gonna start off with my favorite skin care product at the moment. 1. 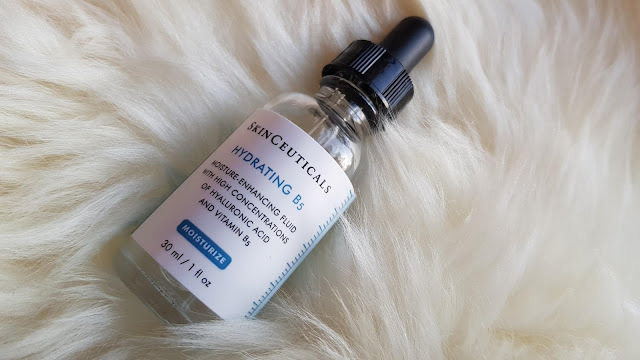 SkinCeuticals Hydrating B5 face serum it's an easily absorbed face serum for any skin type, it has a high concentration of hyaluronic acid which helps the skin be more plump and hydrated. 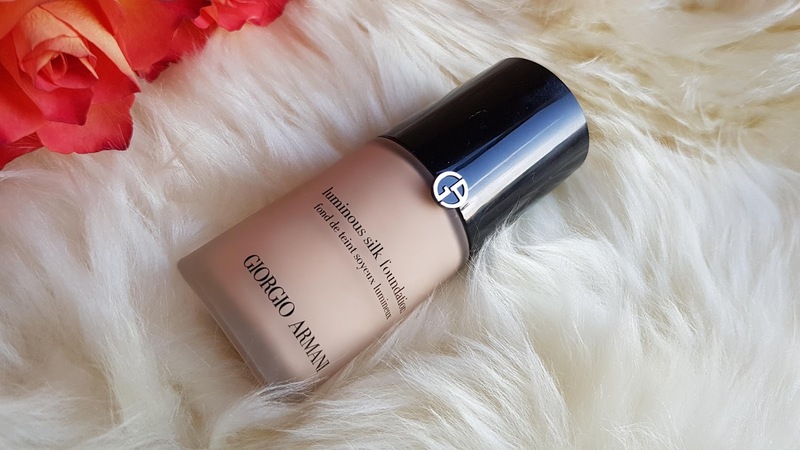 It's a perfect base for your makeup, especially if you have combination skin, because it doesn't leave a greasy residue onto the skin. 2. Clinique All About Eyes, a very lightweight cream that helps the makeup stay longer, read the review here. 3. 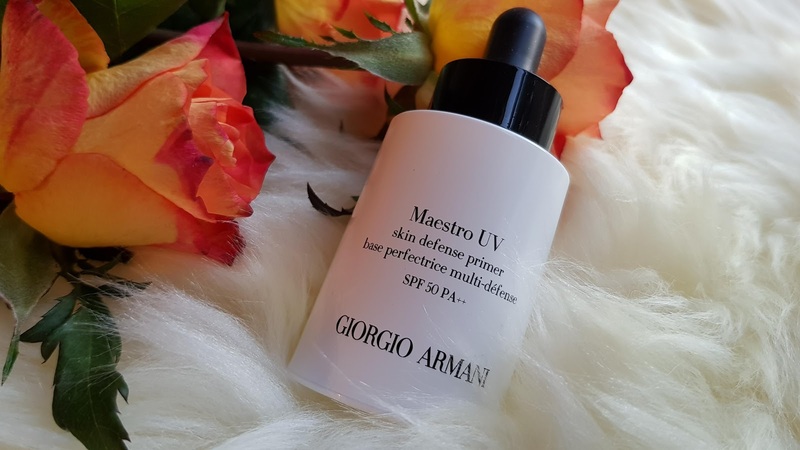 Giorgio Armani Maestro UV Primer, it's a hydrating primer with SPF 50, suitable for any skin type, especially for dry skin. 4. Giorgio Armani Luminous Silk Foundation, a lightweight, silky formula foundation, medium coverage, buildable to full coverage, no SPF, so it's perfect to wear for any kind of events, because it doesn't flash back when you're taking flash photography. 5. 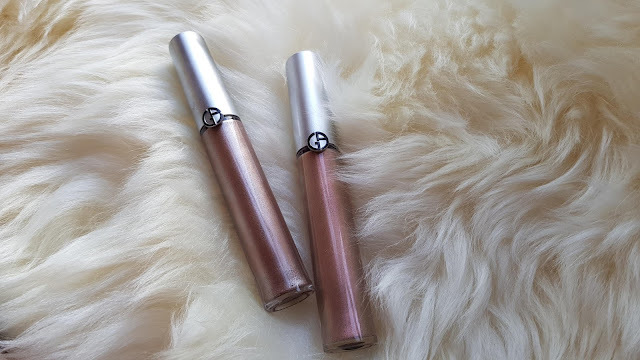 Giorgio Armani Eye Tints are my favorite liquid eye shadows at the moment, they are not greasy, they don't crease during the day, they have a high concentration of pigment. My favorite shades are No.11 (Rose Ashes) and No.9 (Cold Copper), but there are a wide range of colors. You can find my YouTube video with May Favorite Beauty Products attached at the bottom of this post. Let me know in the comments below what your favorite products are. I would love to know. And here is the video where I talk about the products I love and one product that I don't like. See you soon my loves!